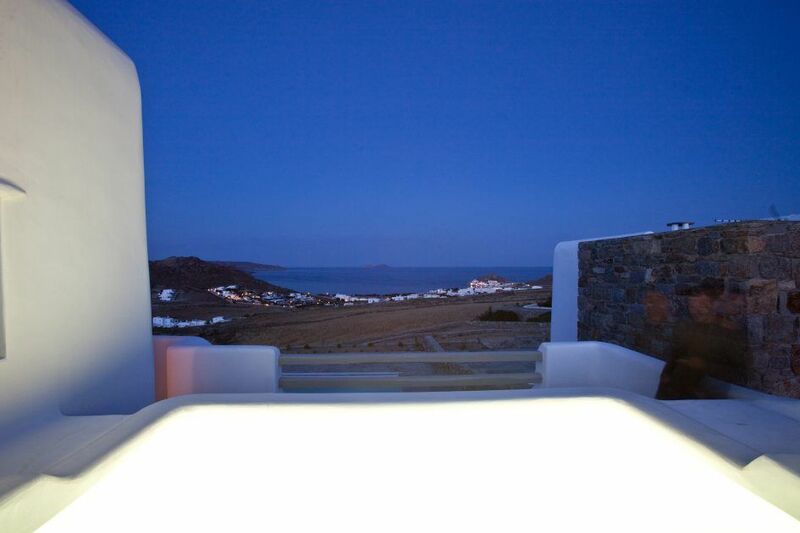 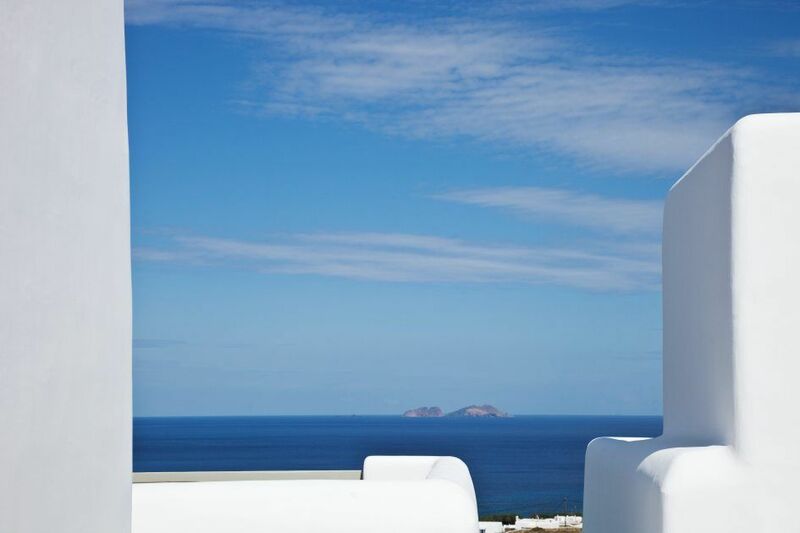 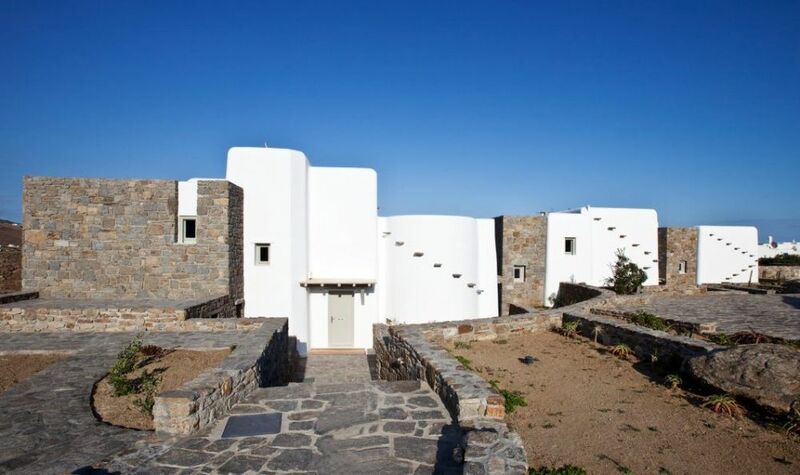 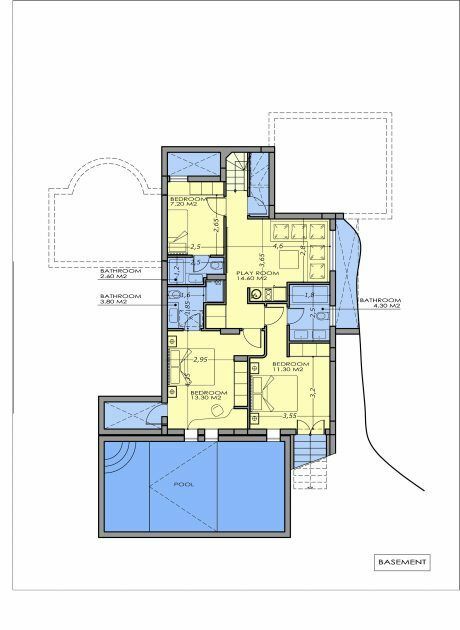 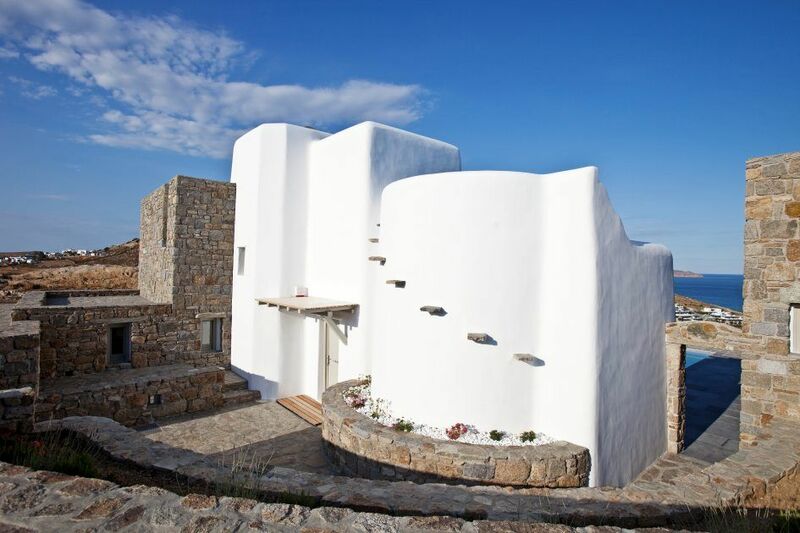 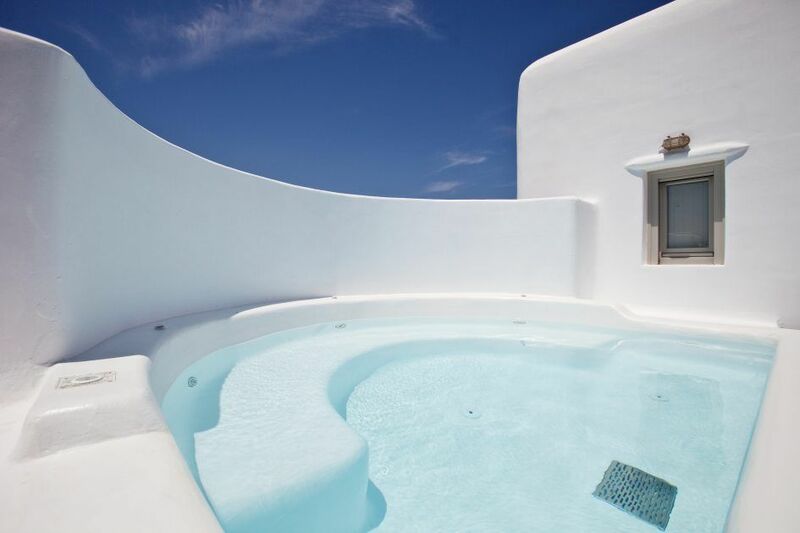 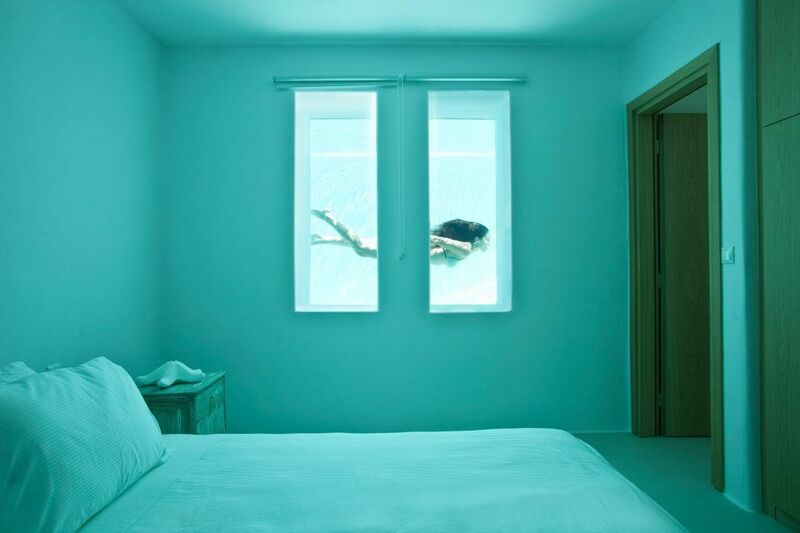 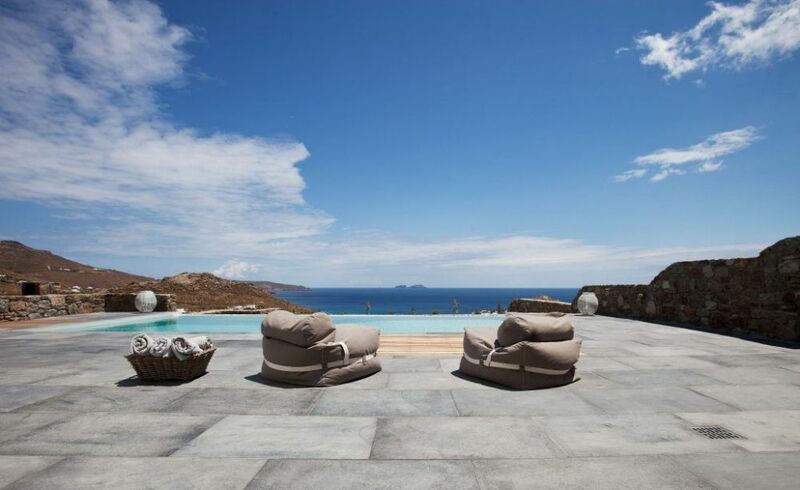 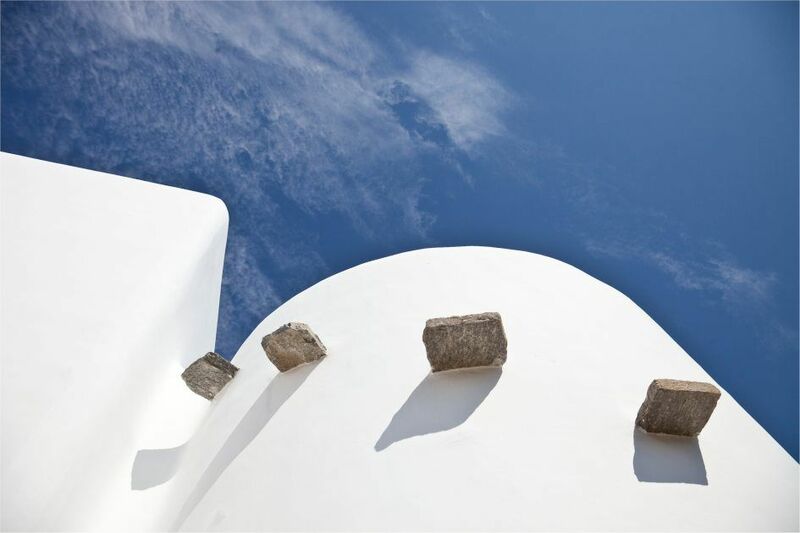 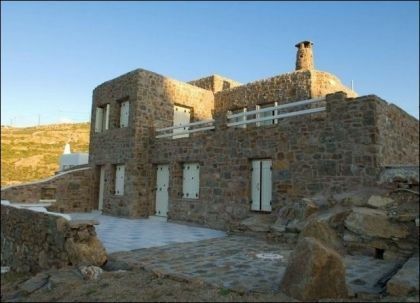 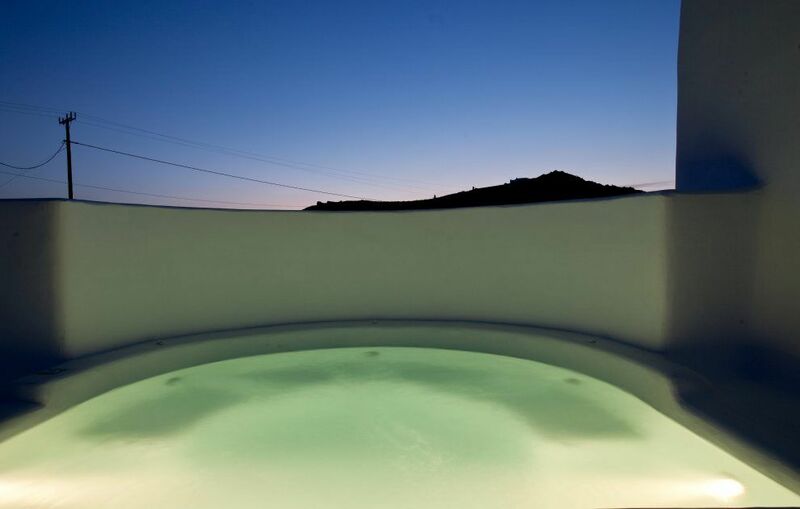 Luxurious complex (MYK006 / MYK029 / MYK030) Villa for rent in Mykonos. 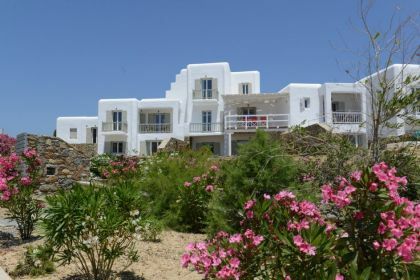 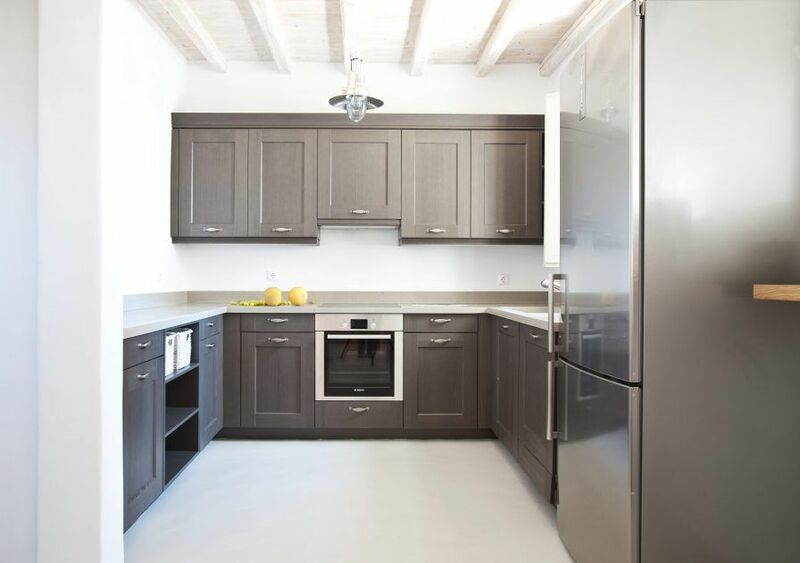 The Villas are enveloping on three levels, having a comfortable as well as attractive living-room, a fully-equiped kitchen, having direct access to the outer grounds, and five spacious and beautiful decorated bedrooms. 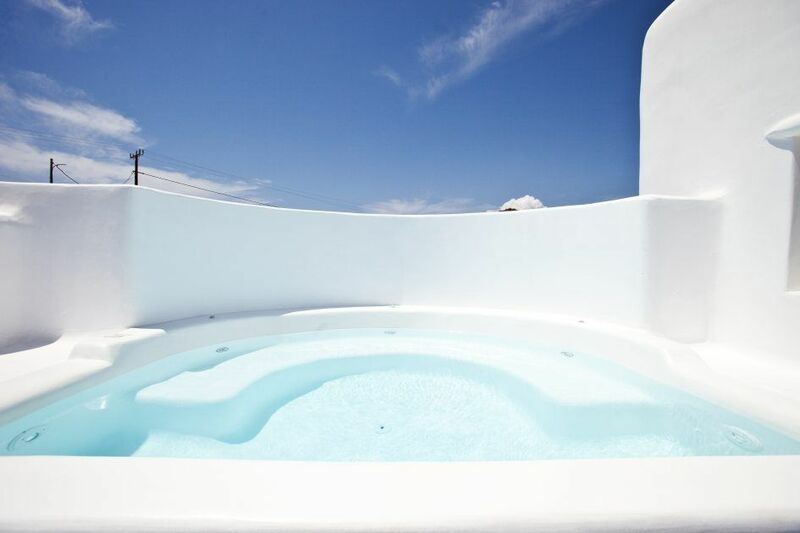 The overflowing swimming pool prevails on the outer grounds, and as surrounded by wooden deckchairs, is comprises the ideal place for sunbathing and relaxation enjoying at the same time the infinite blue. 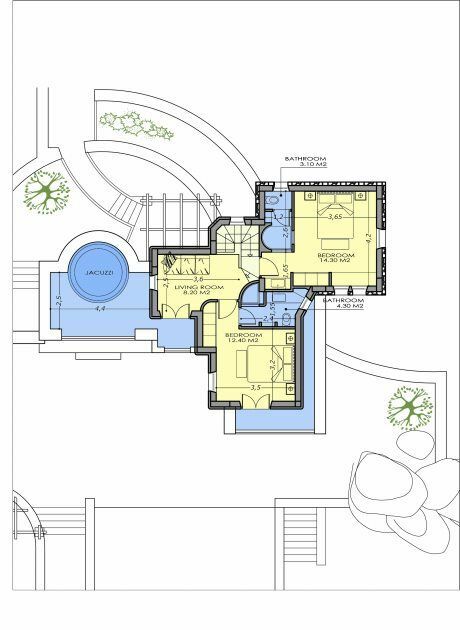 Very close to it, stands a pergola offering shading onto the open – air dining –room, while a step further, lies the bbq, which along with the sitting – room and the kitchen, comprise a unique ambience for gathering and entertainment. 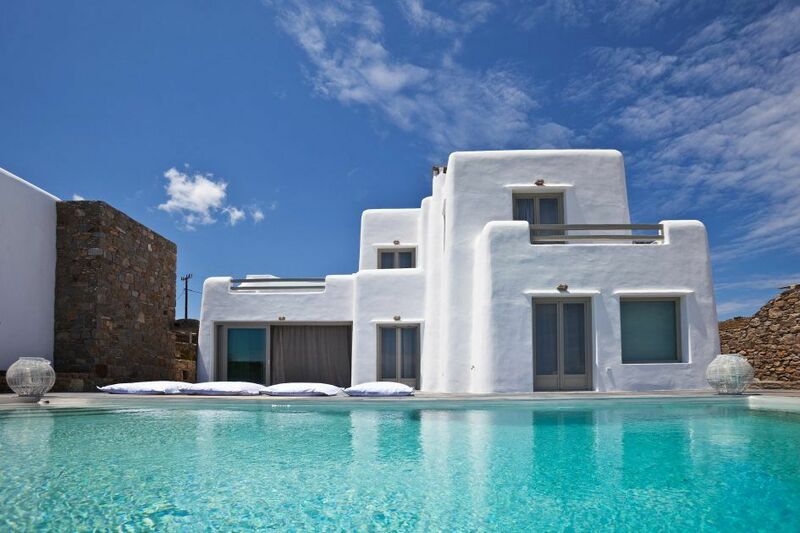 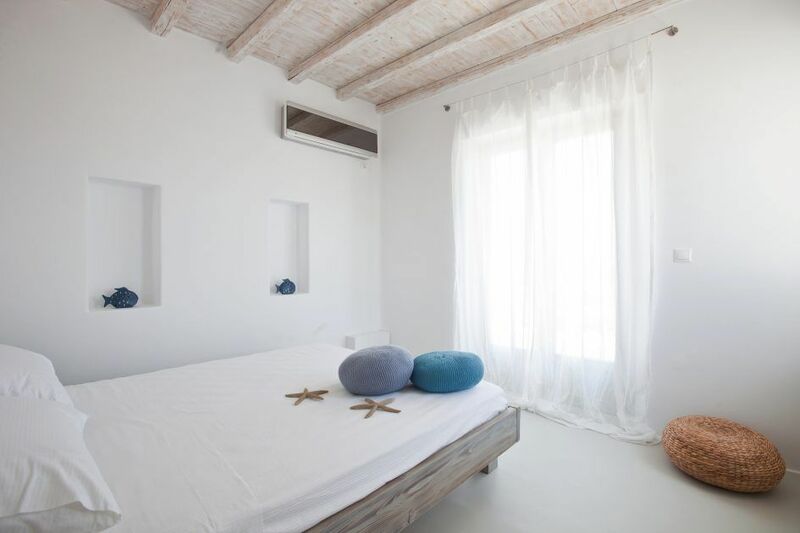 The villa is especially ideal for those seeking hospitality in a superb environment, wishing to experience the side of the island famous for its virgin atmosphere, having at the same time contact with the sea. 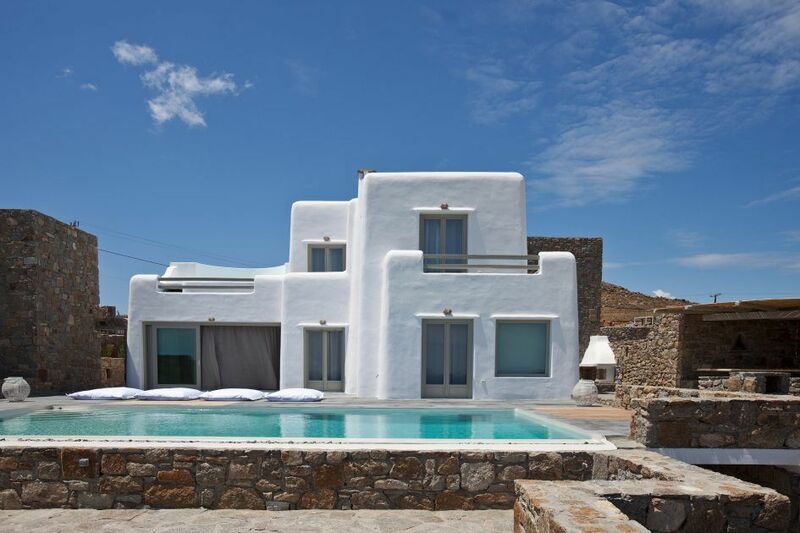 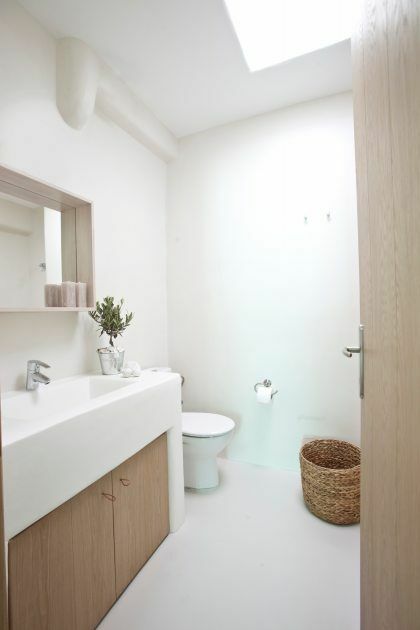 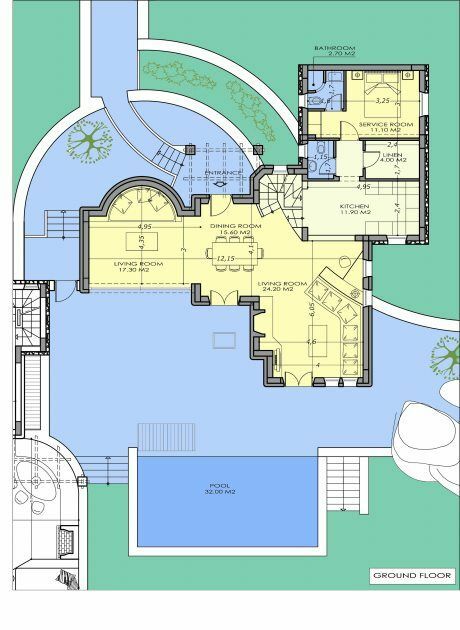 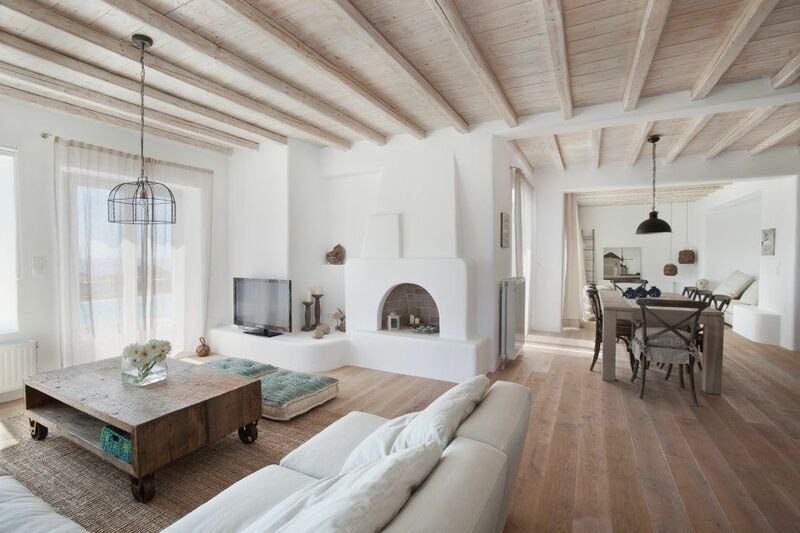 The Villa offering to the groups interested, greater comfort and privacy.